In Hinduism and Nature, Historian and environmentalist Nanditha Krishna delves into India’s rich natural landscape, which is suffused with mythical stories and religious significance. The reverential tales she narrates from both the classical and the trees, rivers and lakes, animals and mountains. 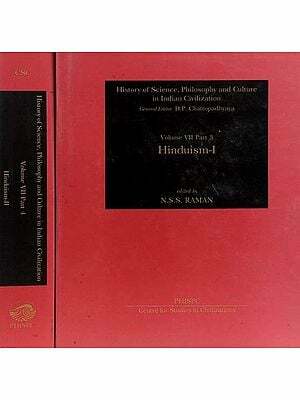 The basis of Hinduism is dharma, or righteousness, incorporating duty, comic law and justice. The Vedas, the Upanishads, the smritis and the great epics show a clear appreciation of the natural world, its ecology and the need for managing natural resources. In this fascinating book, Nanditha Krishna provides deep insights into the protection Hinduism offers to the environment, and convincingly argues that we can save the environment today only by turning to ancient wisdom. A historian, environmentalist and writer based in Chennai, Nanditha Krishna has a PhD in ancient Indian culture from the University of Bombay. She has been a professor and research guide for the PhD programme of C.P.R. Institute of Indological Research, affiliated to the University of Madras. She was the honorary director of the C.P. Ramaswami Aiyar Foundation from 1981 and was elected president in 2013. She is the founder- director of its constituents, including C.P.R. Institute of Indological Research, C.P.R. Environmental Education Centre, C.P. Art Centre and Kanchi Museum of Folk Art. She is the author of several books, including Sacred Plants of India, Sacred Animals of India, Book of Demons and Book of Vishnu (Penguin India); Madras Then, Chennai Now, Balaji Venkateshwara, Ganesha, Painted Manuscripts of the Sarasvati Mahal Library; and The Arts and Crafts of Tamilnadu and The Art and Iconography of Vishnu- Narayana, among many others, besides numerous research papers and newspaper articles. The Indian housewife starts her day by cleaning the space outside the front door and decorating it with beautiful designs made of rice flour. Apart from beautifying her home, she is also feeding the ants and does not need to spray insecticide to keep them out. When she bathes, she prays that the water may be as sacred as the River Ganga, which has proven antimicrobial qualities. She encircles the pipal tree seven times in a ritual binding the Indus, Vedic, Hindu, Buddhist, Jain and tribal traditions. It is a unique tree which filters impurities in the air and releases oxygen day and night. She pours water over the sacred basil plant-tulsi-in the centre of her house, for it prevents coughs, colds and fevers. She places a small bowl of cooked rice on the roof for her departed ancestors, which is eaten by crows who keep the outer environment clean. She will sweep her house only under bright daylight, for she fears that she may harm or dislodge small insects from their homes in nooks and crannies if she sweeps in the twilight or darkness. Every aspect of her life is intimately connected with nature and the environment, and scientific environmental management. Unfortunately, all that was good and preserved in the name of culture and tradition has been discarded in the name of modernization and development. The basis of Hindu, Buddhist and Jain culture is dharma or righteousness, incorporating duty, cosmic law and justice. It is sanatana, or eternal, for it is without beginning or end, and it supports the whole universe. Every person must act for the general welfare of the earth, humanity, all creation and all aspects of life: 'Dharma is meant for the well-being of all living creatures. Hence that by which the welfare of all living creatures is sustained, that for sure is dharma' (Mahabharata, XII.l09.10). Dharma means many things: righteousness, duty, justice and law. Every divine incarnation is born to restore it. The verses of the Vedas express a deep sense of communion of man with god. Nature is a friend, revered as a mother, obeyed as a father and nurtured as a beloved child. It is sacred because man depends on it and because of this everything is sanctified, including man and the terrifying aspects of nature, such as landslides, earthquakes and storms. Natural phenomena are the manifestations or expressions of the gods and not the gods themselves. They express the principles that govern the world and the cosmic order, rita. 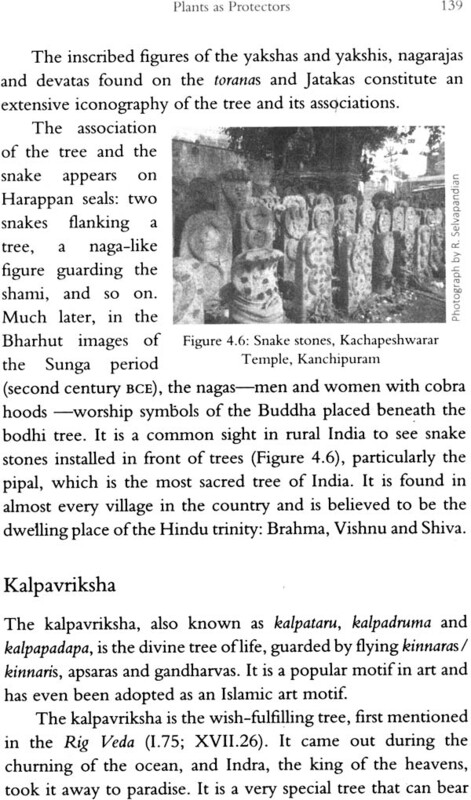 In the Rig Veda, Vritra is a serpent or dragon called Ahi, the personification of drought and an adversary of Indra, the god of rain and thunder. Vritra keeps the waters captive until he is killed by Indra, who destroys all his ninety-nine fortresses and liberates the imprisoned rivers. At Indra's request, Vishnu, the god of sun, strides across the firmament, the sun and the rain combining to destroy Vritra (1.6.1; 11.22.1; V1.20.2). While Indra does the actual destroying, Vishnu is his friend and helper. The word Vritra comes from the root 'vri', meaning to enclose, and is used for a harasser or foe. Vritra is the personification of the evil power of drought. Vishnu's assistance to Indra may thus be interpreted as the help given by the god of sun to the god of rain when the latter is about to destroy the demon who prevents the waters from fertilizing the soil. 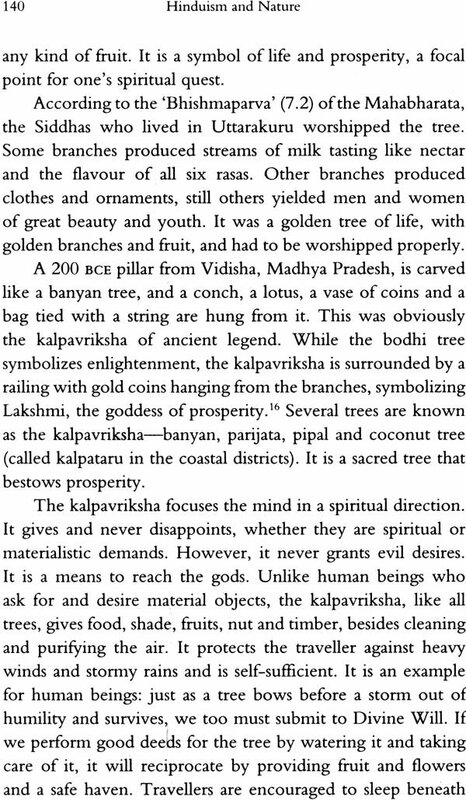 The Vedic religion was, essentially, nature worship. Indra calls for the sun's aid to fight the demon of drought and to convert the clouds into rain. The war against Vritra was apparently an anthropomorphic representation of the diverse forces of nature which these gods represented. It is not possible to agree with D.D. Kosambi's theory that Indra's war against Vritra is symbolic of the destruction of the dams and barrages built on the Indus by the Harappans. We now know that the Vedic and Harappan cultures ran simultaneously," therefore the theory of the destruction of one by the other is not tenable. 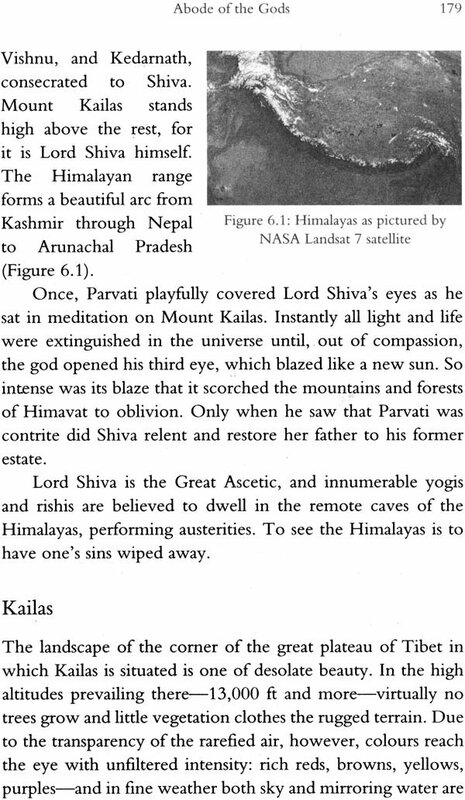 Vedic religion was pantheistic, celebrating nature as divinity. 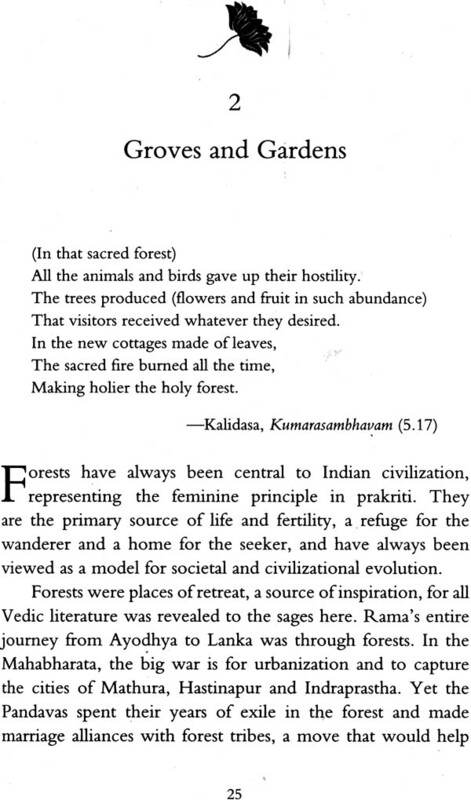 In Vedic literature, all of nature was, in some way, divine, part of an indivisible life force uniting the world of humans, animals and plants. The Vedas are dedicated to a variety of pantheistic deities called devas or the Shining Ones, representing the stars in the firmament and forces beyond human knowledge or control. Chief among them was Indra. Soma was a sacred plant and Agni, the divine fire. There are several solar deities: Surya, Savitr and Aditya, while Ushas was the dawn, a female deity. Vishnu was also a solar deity, symbolized by his three steps across the firmament: the morning and evening sun and the midday orb. Pushan represented agriculture. Dyauspitr was the divine father (the sky, father of the heavens), Prithvi was Mother Earth and Vayu, the wind. The Rivers Sarasvati, Sindhu (Indus) and the latter's tributaries-Shutudri, Parushni, Ashkini, Vitasta and Vipasa or the Sapta Sindhava-were all regarded as sacred. 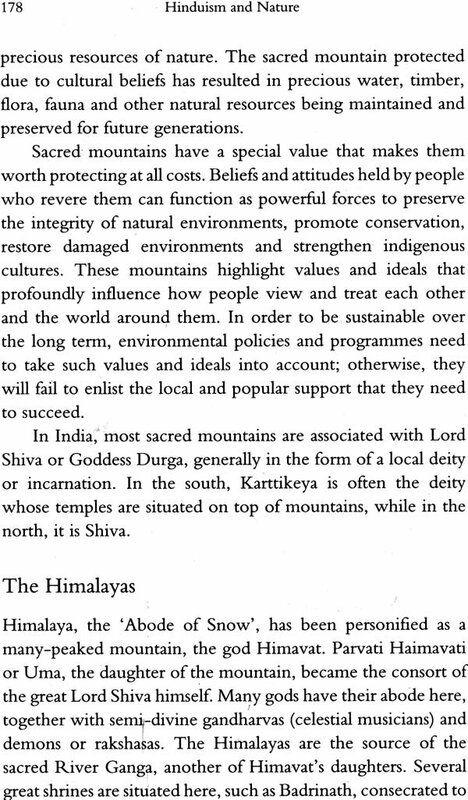 Thus the concept of the sacred environment was established in the Vedic period itself. 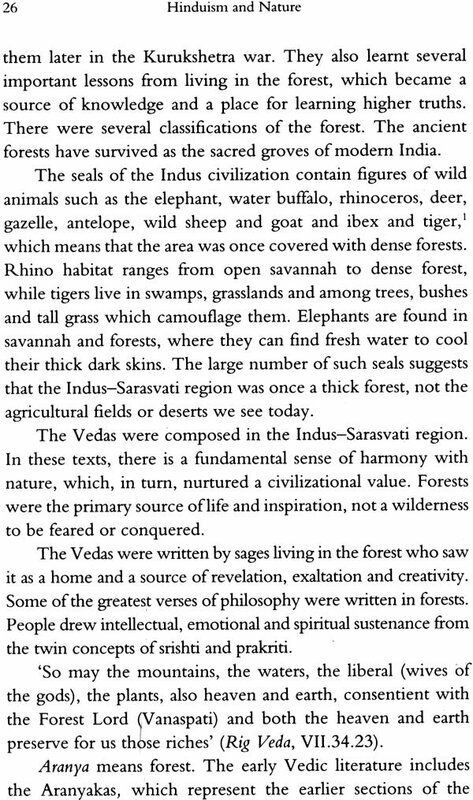 Vedic people were one with nature.. 'One is that which manifests in all' (Rig Veda, I.164.46) meant that everything is related to everything else. Man had to recognize what powers of nature he could not control and was thus compelled to resort to prayer to win the cooperation of the winds and rains to ensure the regularity of the monsoon; for the control of earthquakes, forest fires and all major elements of nature. He who sought nature's laws was rewarded: 'Those ancient sages, our ancestors, observant of truth, rejoicing together with the gods, discovered the hidden light, and, reciters of sincere prayers, they generated the dawn' (Rig Veda, VII.76.4).